Are you looking for a forever pet? After filling out a brief application and a home visit from one of our staff members, bring home your new furry companion(s)! Our fosters are perhaps the most important component in keeping us up and running. The more fosters we have, the more piggies we can save from undesirable situations. The money you donate today will forever change the life of a critter who is desperately in need. Our supplies run out quickly, and vet bills never cease. Consider making a donation today! 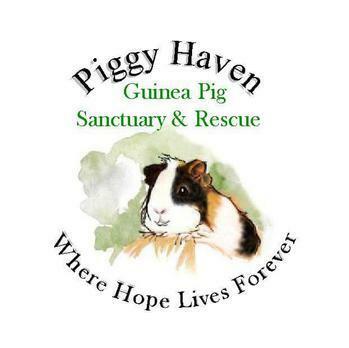 Piggy Haven is a small, home-based guinea pig rescue and sanctuary based in Brooklyn Park, Minnesota. We have been helping these precious little ones find safe loving homes since we started in 2010. We are a foster-based rescue, and always welcome new families to help out by starting the foster process. All of our piggies are kept in a loving and safe environment at all times. Our mission is to educate people about caring for guinea pigs and providing a safe environment for those in need until they find their forever home. These two adorable boys are some of the cutest you'll ever meet! They're a bonded pair, so will be sticking together in their search for a forever home. For the best hay and pellets, vist our partners at Small Pet Select! Rescue animals are guaranteed preloved! Adoption fees go right back into helping more animals. Rescues take care in making sure their animals go to the best homes possible with applications, and they can even guide you as you prepare for your new family members. Foster/rescue piggies come from homes just like yours and are more likely to be healthy (rescues tend to have great relationships with their vets) and tame! By rescuing a pig or two, you open up a space for a pig or two who may desperately need help. If you find yourself in a situation in which you must find a new home for your guinea pig, we've compiled a list of tips to help you ensure the well-being of your animal. Never give your pet away for free unless it is to someone you know and trust. The safety and well-being of your pet depends on you making an informed choice about their future home. If you aren't 100% confident in who you are considering giving your pet away to, don't hesitate to ask for references to validate whether or not the individual or organization has a good reputation. Ask to see a picture of the cage the guinea pigs will be living in (if applicable) or tell them you prefer to deliver the guinea pigs yourself (but never alone) to see the set up. Ask them questions about piggy care and make sure they know what they are getting into financially, and otherwise. As a last resort, if you are unable to care for your pet any longer and don't have anyone in mind who could care for them instead, you can surrender your animal to a local humane society (after thoroughly researching it! ).